A young woman stands in the parlor of who knows whose Victorian mansion. 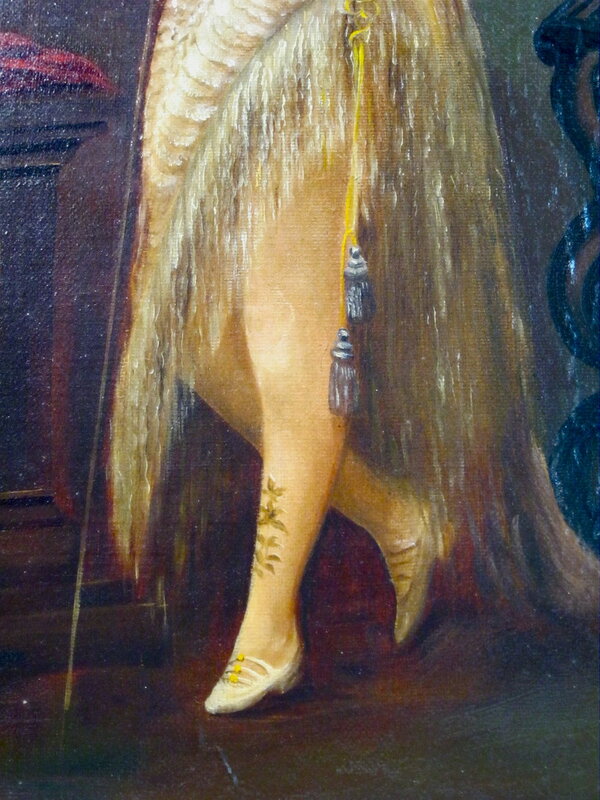 She is clearly a member of a higher society, dressed like a circus acrobat, clad with gold, jewels, and pearls. As the eye of the gentleman wanders down to her ankle, something unusual appears. Leaves of green on her skin, not worn, but tattooed. What is this tattooed Jezebel doing then and there while covered in a fortunes worth of gold? We wonder too. In this day and age, most wouldn't necessarily think of tattoos as being something so exclusive for the social elite, but in the olden days, when tattooists were just traveling artisans, only the wealthy could afford the luxury of being inked. The Queen Mother of England, and even Winston Churchill’s mother both had tattoos. Whoever this young lady was, someone must have paid a small fortune for her to have been covered in gold and painted by who we have identified as an unknown American painter. We like to think of this piece as the first shovel of mysterious dirt that covers our time capsule of tattoo art. 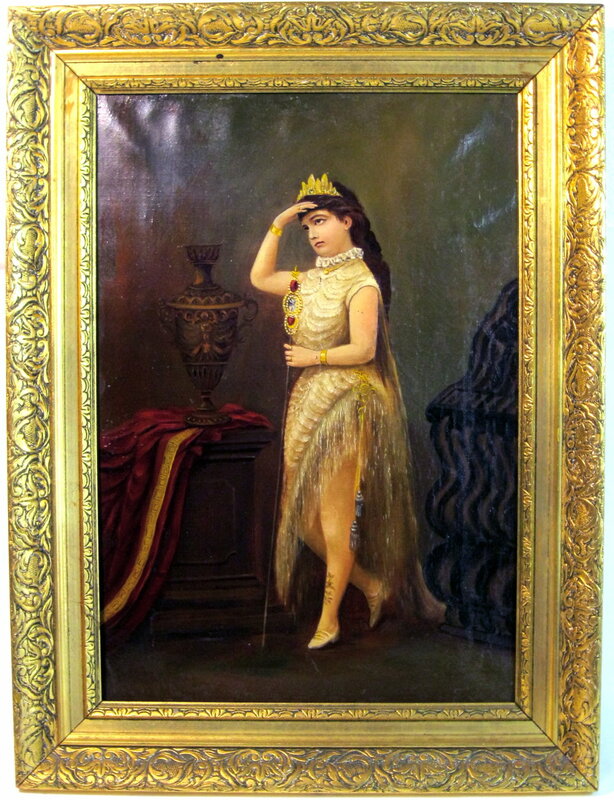 We know this is from some time around 1880, but the woman's identity is unbeknownst to us. Not much else can capture the mystery and allure of such a strange time period like a painting like this. If anyone has insights about this unusual piece, please let us know.